Route 66 is one of the most iconic roads in the United States. Consisting of a total of 2,448 miles and covering 375 miles in the state of Arizona, the highway passes directly through downtown Flagstaff. The historic town and college community is home to shops, restaurants, art galleries, breweries and friendly hospitality from residents. Flagstaff also is a premier destination for beautiful scenery and outdoor activities, promoted as the destination for all seasons. Located at an elevation of 7,000 feet, Flagstaff has been recognized as one of the best towns in which to live. The aroma of ponderosa pine trees fills the crisp mountain air while the San Francisco Peaks offer a spectacular backdrop for the town. With snowy winters, Arizona Snowbowl attracts skiers and snowboarders from all over the world. It is not uncommon during a hike on the Flagstaff Urban Trail System to pass by elite athletes running or biking during their high altitude training. The tourism industry is one of the leading economies in Flagstaff. According to Flagstaff’s Convention & Visitors Bureau (CVB), the Flagstaff hospitality industry generates more than 5,400 jobs and delivers nearly $390 million in direct spending. Last year, the City of Flagstaff’s Bed, Board, and Booze (BBB) tax generated more than $5.9 million in revenue, which goes into economic development, tourism marketing and beautification projects such as maintaining soccer fields, parks and hiking trails. Many alumni from Northern Arizona University’s Schools of Hotel and Restaurant Management are now leaders in the Flagstaff tourism industry. Minesh Patel graduated from NAU in 2001 with a dual bachelor’s degree in accountancy and computer information systems (CIS) from the College of Business. 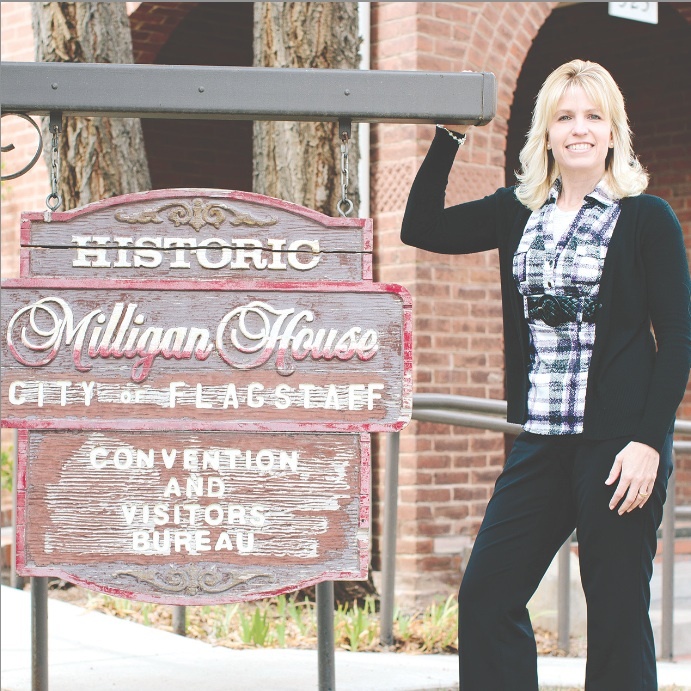 He is now the president of Flagstaff’s Lodging and Restaurant Association. Brian Konefal is another NAU alum who has contributed to the Flagstaff tourism industry. He is the owner of Coppa Café, a European-style café/bistro. Konefal graduated as a Spanish major and never expected to stay in Flagstaff after college. It was not until he traveled and worked with some of the best chefs in the world that he realized a culinary career would make him happy.